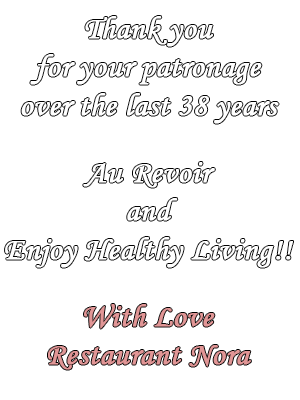 Nora Pouillon is a pioneer and champion of organic, environmentally conscious cuisine. Born in Vienna, Austria, Nora came to the United States in the late 1960s. She was shocked to discover the processed, chemical-laden foods Americans were eating, which she realized contributed to their health problems. That’s when she embarked on her crusade to promote a healthier lifestyle. In the 1970s, Nora began to develop an extensive network of organic and natural farmers, personally driving out to farms in Virginia, West Virginia, and Pennsylvania to purchase local produce and meats for her family and her cooking class/catering business. When she opened Restaurant Nora in 1979 with her partners, brothers Thomas and Steven Damato, she continued to use these farmers to supply the restaurant with seasonal organic produce. Nora organized bus tours to introduce DC chefs to these local farmers, jumpstarting the farm-to-table movement while helping to ensure the viability of their farms. She also initiated DC’s first producer-only farmer’s market, called FRESHFARM Markets, which now includes eleven markets in the metropolitan area and is run by her friend, Ann Yonkers. By the mid-1990s, nearly all of the products used at Restaurant Nora were certified organic. Nora sought out Oregon Tilth, a third party certifying agency, and worked with them for two years to establish the organic certification standards for restaurants. In 1999, Restaurant Nora became the first certified organic restaurant in the United States, a feat accomplished by few since. Nora has consulted and developed recipes for Walnut Acres and Fresh Fields (now Whole Foods), and is a partner in Blue Circle Foods, a supplier of both fresh and frozen sustainable seafood. Each year, she hosts five Women Chefs and Restaurateurs interns in her home and at her restaurant to introduce them to organic food and her sustainable lifestyle. Nora is the author of Cooking with Nora, a seasonal menu cookbook that was a finalist for the Julia Child Cookbook Award. 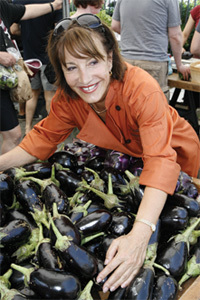 Over the years, Nora has received awards from many culinary and organic organizations. In 2009, she was the first recipient of the Genesis Award from Women Chefs and Restaurateurs, which recognizes a woman who has achieved a true ‘first’ in the culinary profession. 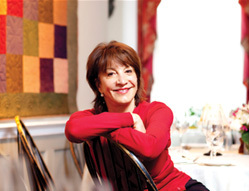 In October of 2011, Chefs Collaborative inducted her into their Pioneers Table. 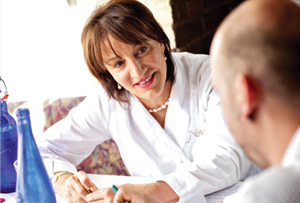 Nora tirelessly advocates her commitment to nutritionally wholesome food and a sustainable, health-focused lifestyle based on the premise that you are what you eat, drink, and breathe. She feels that it is important to take responsibility for one’s own health, and her holistic approach includes a daily exercise routine that strengthens and focuses the body and mind. On top of her work supporting the organic food movement, Nora champions for a cleaner environment so future generations can also enjoy life on Earth. She sits on the board of directors of the Amazon Conservation Team, the Environmental Film Festival, FRESHFARM Markets and Earth Day Network. Over the years, she has been an active participant in numerous environmental campaigns, like “Take a Pass on Chilean Seabass,” and “Caviar Emptor” boycotts and Save Bristol Bay’s effort to prevent the Pebble Mine construction. To much acclaim, Nora’s memoirs titled My Organic Life: How A Pioneering Chef Changed the Way We Eat Today was published by Knopf in early 2015.